Neurotransmitters are the natural chemicals that facilitate communication between brain cells. These substances govern our emotions, memory, moods, behaviour, sleep and learning abilities. Neurotransmitters are manufactured in the brain from the amino acids we extract from foods and their supply is entirely dependent on the presence of these precursor amino acids. Alcohol destroys these essential precursor amino acids which is probably why alcoholics seem so emotionally muddled and depressed. 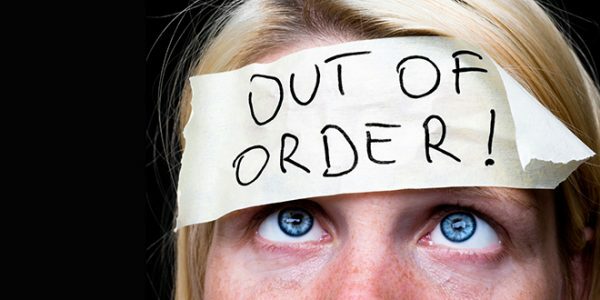 Without adequate amino acid conversion, neurotransmitters are no longer produced in sufficient amounts; this deficiency causes ‘emotional’ symptoms, including depression. 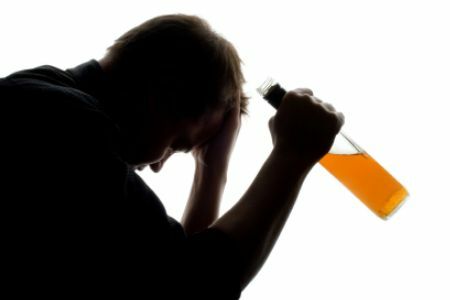 An alcoholic’s inability to cope manifests in excessive anxiety, low self-esteem, a low level of confidence, poor problem-solving, a high level of co-dependency and a low level of assertiveness are linked in this failure to cope cycle. In my counselling alcoholics, it is clear that initially almost all believe that it is impossible to control anxiety because it is a ‘natural emotion’ and ‘we are born with it and can’t change it’. A favorite saying is some variation of: ‘I’m anxious, my mother was anxious and her mother was anxious. How can I change that?’ These statements are usually based upon the failure to distinguish between fear and anxiety. Fear is a natural emotion and it is adaptive. If we are being attacked by someone with an axe or a hammer, it is sensible and adaptive to be afraid. We are born with the capacity to become afraid because this fear releases adrenalin, enables us to run faster or makes us stronger if we decide to fight. The more an alcoholic knows about alcoholism, the greater are the chances that he or she will acknowledge insight in his or her own past behavior so that it can be changed. While the processes of rationalization, projection and repression are unconscious ones, reports of behavior during the alcoholic phase by relatives will show that they did occur. 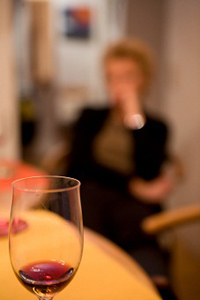 Does alcoholism cause memory changes? Alcohol causes distortions to memory in a very fundamental way, which is usually beyond the comprehension of those close to the alcoholic. There are two major memory changes caused by the poison known as alcohol and these are blackouts and euphoric recall. Blackouts are not to be confused with the oblivion that occurs when so much alcohol has been consumed that the alcohol penetrates deeply into the brain and the drinker becomes unconscious. No, alcoholism is not reversible. It can be stopped and recovery can be extremely successfully but if an alcoholic returns to drinking, he or she takes off where they left off. Resumption of drinking signals that the alcoholic continues to deny that he or she is an alcoholic. The problem is that people will say that they are alcoholics or admit that they have a drinking problem, but, deep down, they don’t believe it. They find it hard to see themselves getting so low and becoming a derelict on Skid Row. 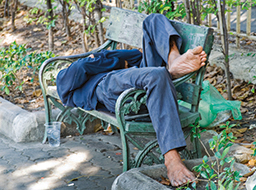 They have a home, family, friends, and employment, even a career and cannot envisage themselves sleeping on a park bench or clutching a bottle of wine in a brown paper bag. When we are quick to over-react to situations, we are more likely to reach for the bottle to calm our nerves and let the world go by! Alcoholism is a disease of the emotions coupled with a physical allergy to alcohol. One of my patients related “I feel like such a fool. I seem to overreact to everything and everybody. I cry when my boss tells me to be more polite to customers and get angry when my husband asks me if I’ve washed his jeans.” Everyone feels like this sometimes but alcohol dependent people feel like this all the time. They stuff their feelings; take the edge of their emotions with alcohol and prescription drugs. The plan is to get rid of the bad feelings, but of course the good ones get smothered too. Do You Have a Secret Drinking Problem? 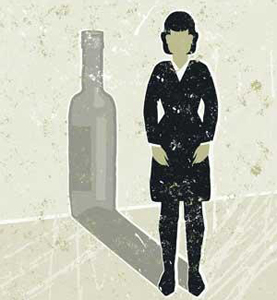 Many women work two jobs and develop a habit of reaching for the bottle as soon as they walk in the front door. They find themselves working around the clock and drink to try and feel normal. Before they know it, they are drinking more than two standard drinks per day and wonder why they are always feeling tired, agitated, irritable and unable to sleep without their secret alcoholic “top up” after dinner. I have a number of patients in early alcohol recovery asking me why they feel great one day and terrible the next. They feel so bad they want to numb their emotions and pick up a drink. 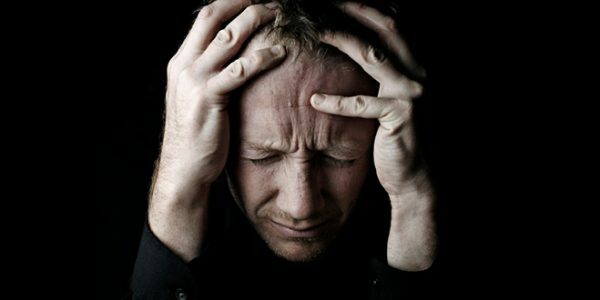 Many people in early recovery suffer with a foggy brain, headaches, concentration problems and fatigue. They can also have severe withdrawal reactions with excessive sweating and the shakes. But unless the moods are so extreme that they interfere with your functioning, they are a normal part of recovery.